Deluxe Vinyl Versions Of 5 Classic Amon Düül II Titles And The Long Awaited Release of Their First Album In 20 Years Will Leave You Simply Düülirious! Los Angeles, CA – On April 29, Cleopatra Records will roll out a series of limited edition deluxe vinyl re-issues of 5 landmark albums by one of the most influential experimental rock bands of all time, iconic German underground music legends Amon Düül II! Each album has been meticulously put together with digitally remastered audio made specifically for these re-issues, 180 gram colored vinyl packaged in glue-on heavyweight chip board jackets, and sequentially numbered. The first 2 re-issues to appear will be the spectacular 1969 debut album Phallus Dei and the hugely influential 1972 classic Wolf City. The following month will see the release of the 1971 double LP Dance Of The Lemmings, followed in June by 2 more – 1973’s Vive La Trance and an extra special lenticular jacket printing of the group’s masterpiece, 1970’s double LP Yeti, which will be limited to just 500 copies. As thrilling as these extraordinary releases are, what’s more exciting is the long awaited return of this iconic German outfit after a nearly 20-year absence from the music world with a new album, Düülirium! This stunning new album features 3 of the group’s founding members – guitarist John Weinzierl, guitarist/violinist Chris Karrer, and vocalist Renate Knaup – and will be simultaneously released on both CD and vinyl June 10. Düülirium will be available at all fine music stores, including iTunes, starting June 10. 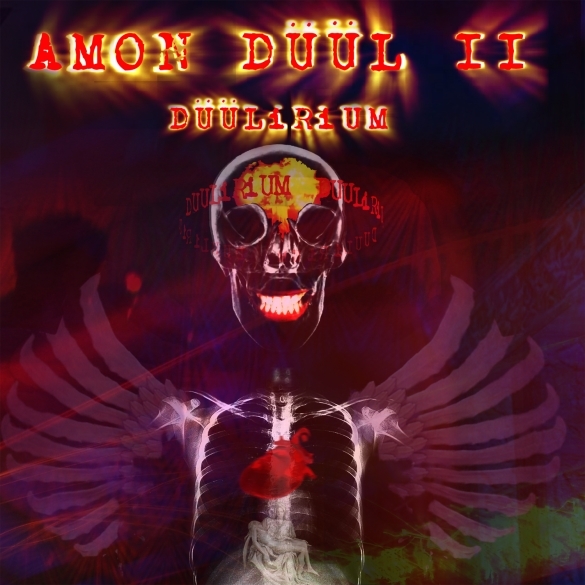 This entry was posted on Friday, April 25th, 2014 at 00:00	and posted in Amon Düül II, Press Release. You can follow any responses to this entry through the RSS 2.0 feed.